Dr. Gerry Caplan is a leading Canadian authority on genocide and genocide prevention. An internationally recognized expert on the Rwanda genocide, and determined that Never Again becomes a reality rather than s slogan, Gerry speaks around the world on why genocides happen and why those with the capacity to prevent them fail to do so. 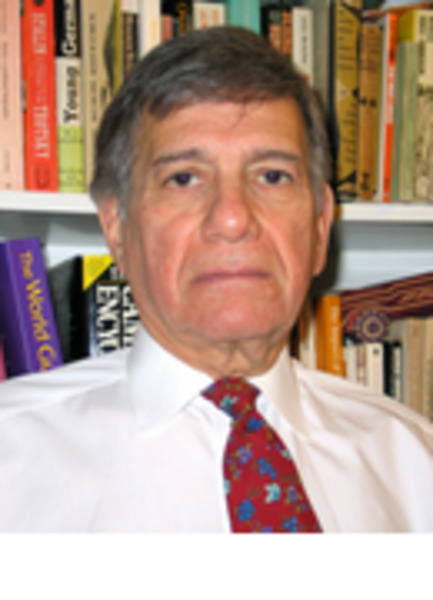 Gerald Caplan, who has a Ph.D. in African history from the School of Oriental and African Studies at the University of London, has been involved in African issues for many years. He is a senior consultant for the UN Economic Commission for Africa in Addis Ababa and has just completed a report for the Africa Union and UNICEF on The State of Africa's Children. Dr. Caplan is author of the 300-page report Rwanda: The Preventable Genocide, for the International Panel of Eminent Personalities to Investigate the 1994 Genocide in Rwanda. Subsequently, he founded and was volunteer co-coordinator of a major international initiative called Remembering Rwanda: The Rwanda Genocide 10th Anniversary Memorial Project. Dr. Caplan is the volunteer chair of the International Advisory Board for the University of Toronto Centre for International Health's HIV/AIDS Initiative for Africa. "I want to thank you very much for taking the time and energy to put together such an absolutely wonderful presentation for our AGM last night. you had your finger on the Inter Pares pulse, out of which you created a hilarious monologue (I nearly fell off my chair). Of course you then segued into an incredibly powerful and hard-hitting indictment of what happened, and crucially, didn't happen, in Rwanda, captivating and angering us all. I understand why you are dedicating so much of your life to the Remember Rwanda Project. It is crucial. When your presentation was all over, I heard many people say how moving, thought-provoking, catalyzing it had been. I am sure there will be reverberations."